Fine thin cones of wood veneer painted with glaze transparent paint and decorated with ribbons and wooden stickers. 1. 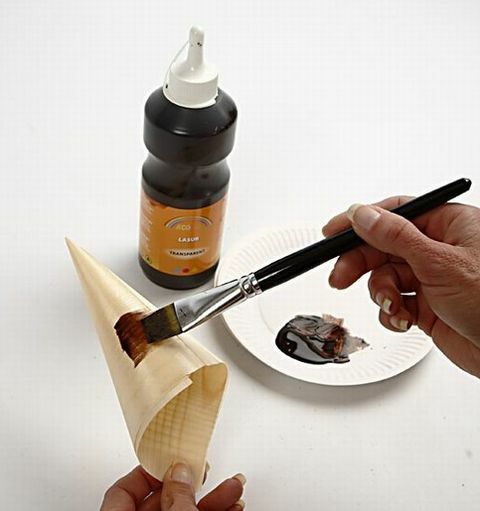 Paint the cone in a desired colour. Let it dry. 2. 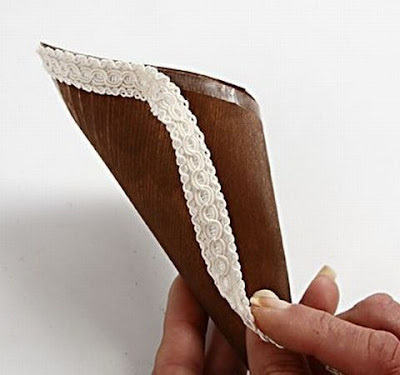 Put double sided tape around the edges on the outside of the cone (starting at the centre back), and everywhere else you want ribbons. 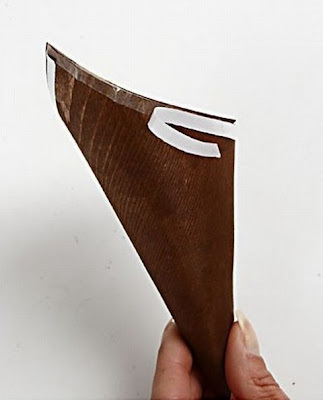 Remove the paper strip from the double-sided adhesive tape. 3. Put the decoration ribbons onto the double-sided adhesive tape. 4. Finish the edge on the back by making a loop from the decoration ribbon for hanging. 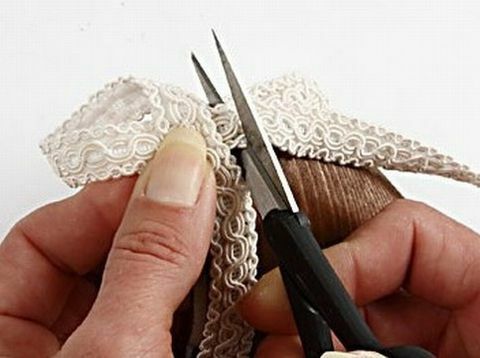 It may be necessary to put on an additional small piece of tape to ensure that it is properly fixed. 5. Cut off the ribbon close to the edge. 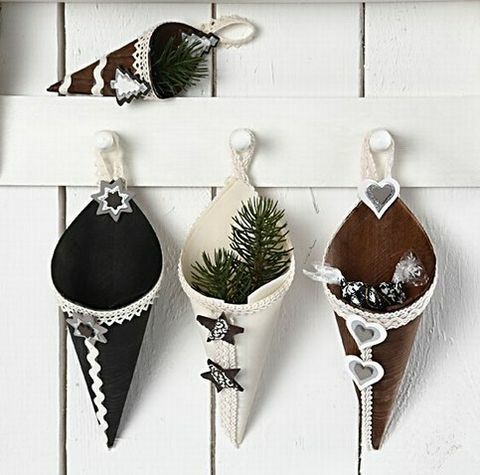 Decorate the cone with wooden stickers.